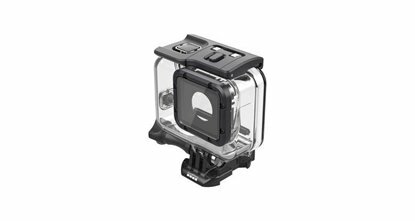 GoPro can be found in our following Categories and Sub-Categories: Camera, Action Camera, Action Camera Accessories. 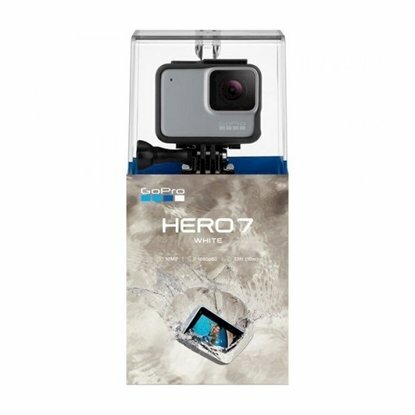 7DaysDeals.com is proud to be an official reseller, authorized retailer and distributor for GoPro in Singapore. 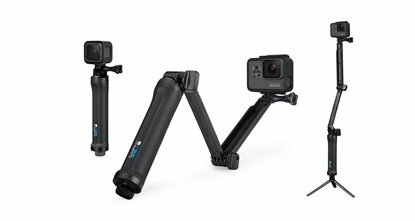 Suit up your HERO6 Black, HERO5 Black or HERO (2018) with Super Suit for extreme outdoor activities and deep-water diving. The included Waterproof Backdoors provide protection to depths of 196ft (60m) and also safeguard against flying debris, gravel, dirt and small rocks. The flat glass lens delivers maximum image sharpness above and below water. 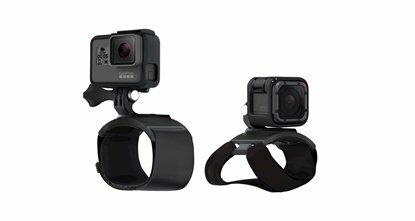 Strap your GoPro to your hand or wrist to capture ultra immersive point-of-view footage, one-of-a-kind selfies and more. 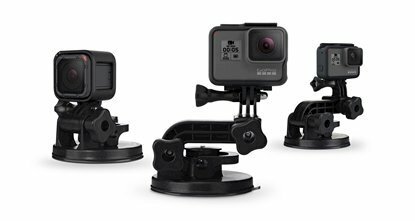 Features 360° rotation and tilt that lets you adjust your capture angle on the fly. Ideal for countless activities and fully adjustable to fit a wide range of adult sizes, the Hand + Wrist Strap is one of our most versatile mounts. 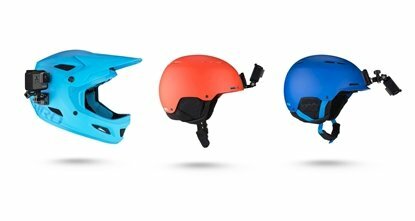 Mount any GoPro to the front or side of helmets. With the included Swivel Mount assembly, adjusting your angle is easy. 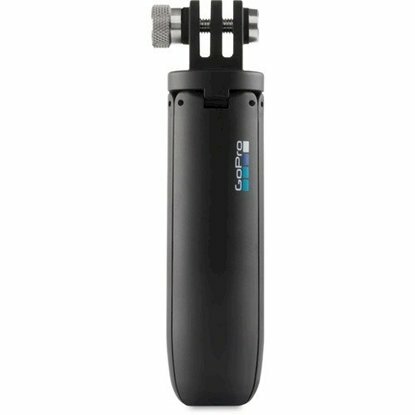 This GoPro 3 way 3-in-1 mount can be used as a camera grip, extension arm or tripod. Use this 1220mAh lithium-ion rechargeable battery as a spare or replacement battery for your GoPro. Shorty is a grab-and-go mini extension pole and tripod. 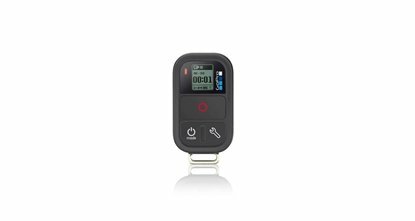 Its compact design makes it ideal to take along for just about any casual activity. Toss it in your pocket on your way out the door, and you’ll have the perfect little partner to position your camera and get the best shot. 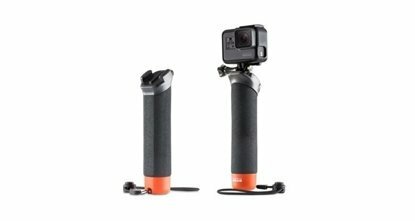 Long-range remote control for your GoPro camera. 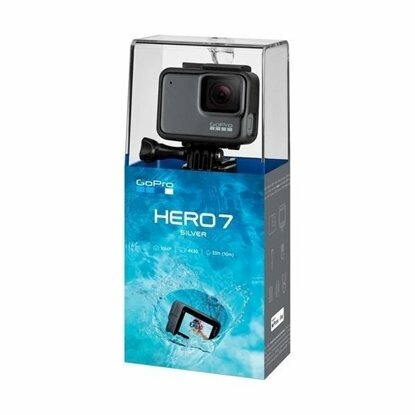 A Full HD version of the GoPro HERO7 lineup, the GoPro HERO7 White is the base model of the three GoPro HERO7 action cameras and is designed for the adventurer. 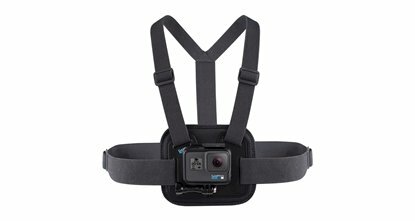 It offers user-friendly features across the board including a 2" touchscreen, intuitive Touch Zoom shot framing, built-in digital stabilization, voice control, a photo timer, vertical photo capture for seamless integration with social media, QuikStories for automatically transforming footage into short fun videos, and much more. 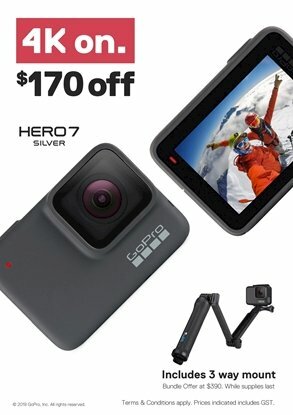 The second most advanced model in the GoPro HERO7 lineup and one of the most advanced action cameras of its time, the GoPro HERO7 Silver records 4K video at up to 30 fps, shoots 10MP photos, and offers many sophisticated features to go along with the image capture.